Two Kempton Maidens. I'm not going to wax lyrical about the good, bad and ugly here and simply focus on the main contenders to a point of isolation. 5:25 Kempton - Andrew Balding has done exceptionally well this season with his juveniles. 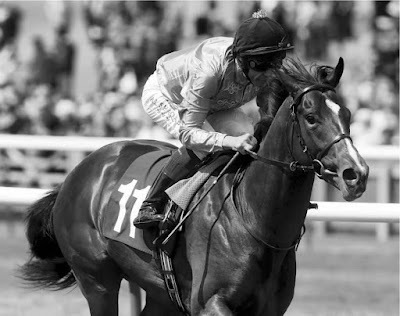 Simoon is a son of Sixties Icon owned by Lord Blyth. This homebred wasn't fancied on debut not beaten a great distance but soon outpaced in the final two furlongs. One with claims and if drifting in the betting a touch could be a value each-way bet. Michael Bell is a difficult trainer to assess at times. Babamunchkin is a well-bred two-year-old who was not sold at the yearling sales for 70,000E. Sired by Henrythenavigator out of a multiple-winning mare who proved victorious at Listed class. Babamunchkin is similarly owned and fancied in the betting when making her debutante at Newmarket over 7f on goo to soft going. She showed up well that day only weakening in the final hundred yards. Definitely, a horse worth noting and if attaining what has been seen on the gallops hold strong claims. 6:25 Kempton - An EBF Maiden Stakes. David Elsworth has seen a better juvenile string this season and Ripp Orff could be the answer in this twelve-strong field. This bay gelding an Irish-bred son of Rip Van Winkle is out of a winning mare. This May foal was well backed from 10/1 - 11/2. That looked a decent race. A touch too keen, she was held up before making good headway and then paid for those exertions in the closing stages to finish third, beaten less than three lengths. On my stats, has respectable win and place claim. Conclusion: Babamunchkin is the best of the two in many respects but that doesn't mean it will win in favour of Ripp Orff. Both have fair each way claims and I wouldn't knock anyone betting. On my info they are both odds-on shots to place and Bell's youngster short odds to win. Maybe a fair each-way double.